There are about 600 of them in Swaledale and a number within Muker Parish have already been identified as potential candidates for some TLC. The scheme will be paid for partly from a £100,000 legacy bequeathed to the Authority by an individual who wished to remain anonymous. Additional funding is being provided by the Authority and Yorkshire Dales Millennium Trust. 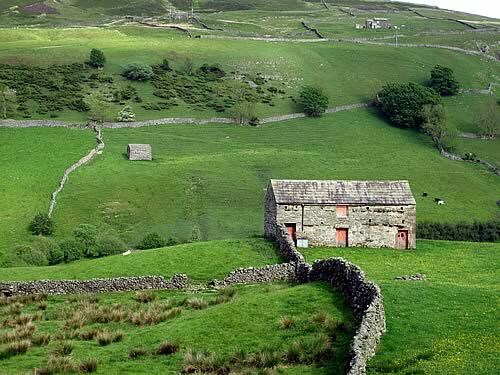 The Authority’s new Local Plan, which will set the framework for future planning policy in the National Park, encourages the restoration and re-use of barns. The project will get together with barn owners to consider the options for each building. As well as repairing the buildings, the project aims to support a broad range of training events and opportunities focused on built heritage skills, working alongside skilled local craftspeople and training organisations. Thanks to National Lottery players, the physical restoration work will be complemented by another National Park Authority project called ‘Every Barn tells a Story’, which will record the history and the stories of the barns and provide opportunities for them to be used and understood by local people and visitors. ‘Every Barn tells a Story’ has been awarded £65,800 from the Heritage Lottery Fund, with the Authority contributing an additional £20,000, and Yorkshire Dales Millennium Trust £5,000. “Each of these barns has a unique place in the landscape of Swaledale and in the social history of the farming communities that built them – and each one has its own story to tell. But many of them are in a bad state. The project will involve volunteers and officers from the National Park Authority as well as input from the Keld Resource Centre.